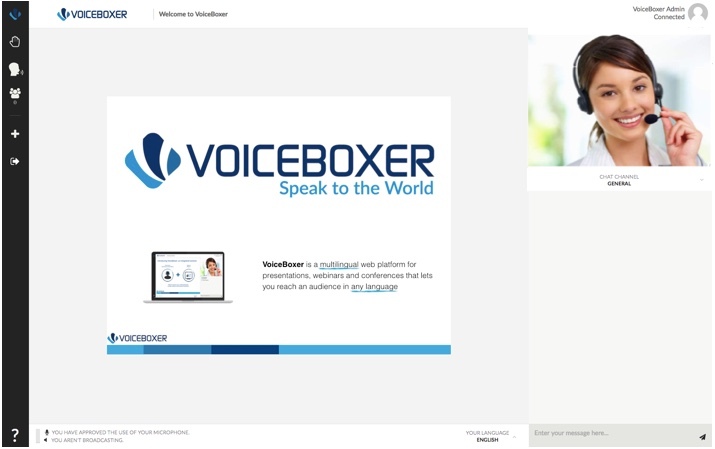 There are two different layouts for VoiceBoxer platform, depending on how and on what purpose the platform is used. If there are no slides uploaded for the event, the webcam feed of the active presenter appears in the middle of the screen, as shown below examples. 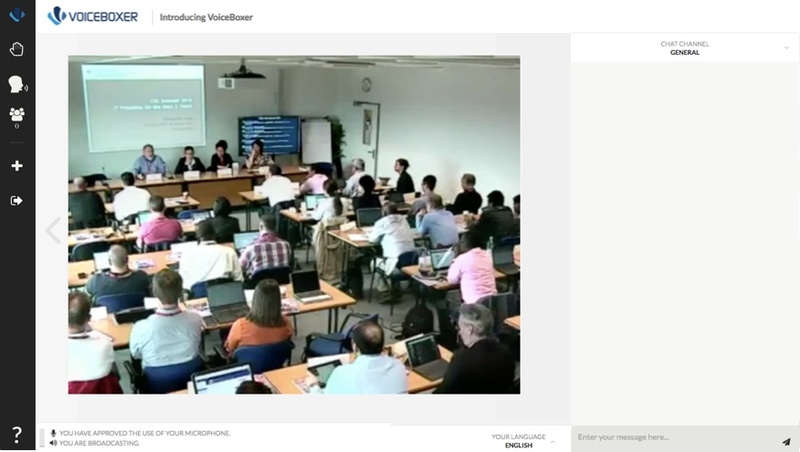 If slides are uploaded for the event, the webcam feed of the active presenter is moved to top right corner and the slides are presented in the middle of the screen, as shown below example.